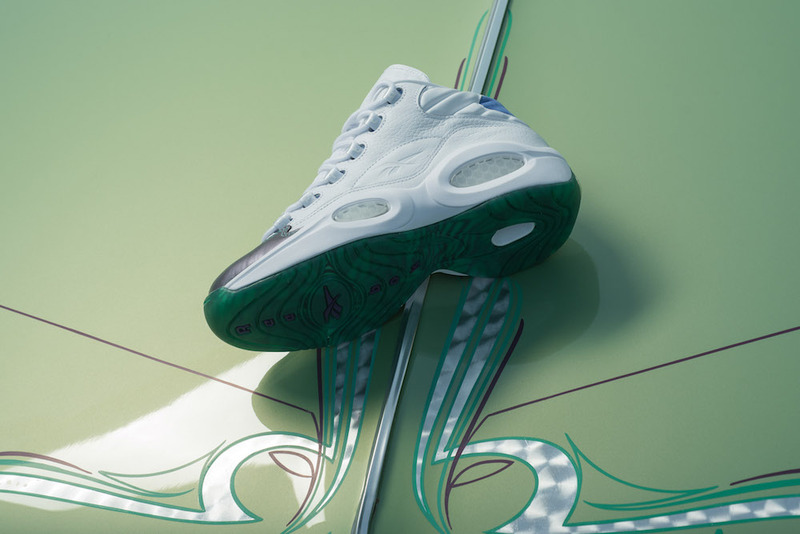 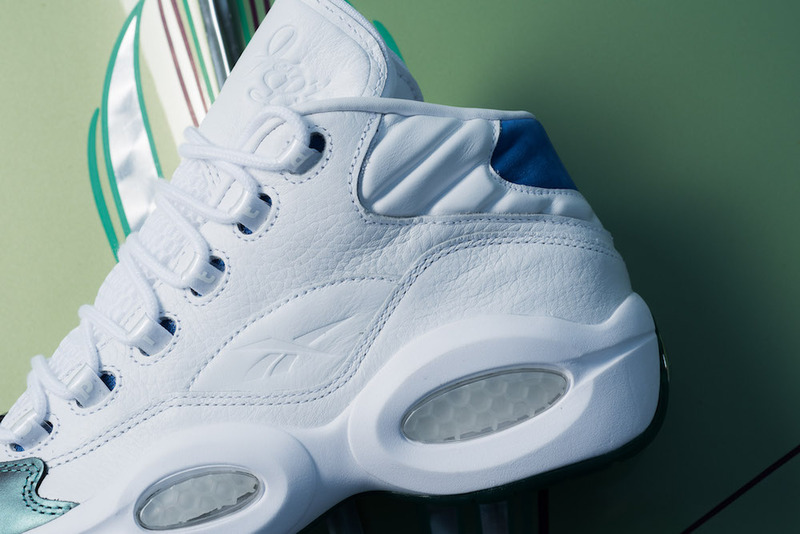 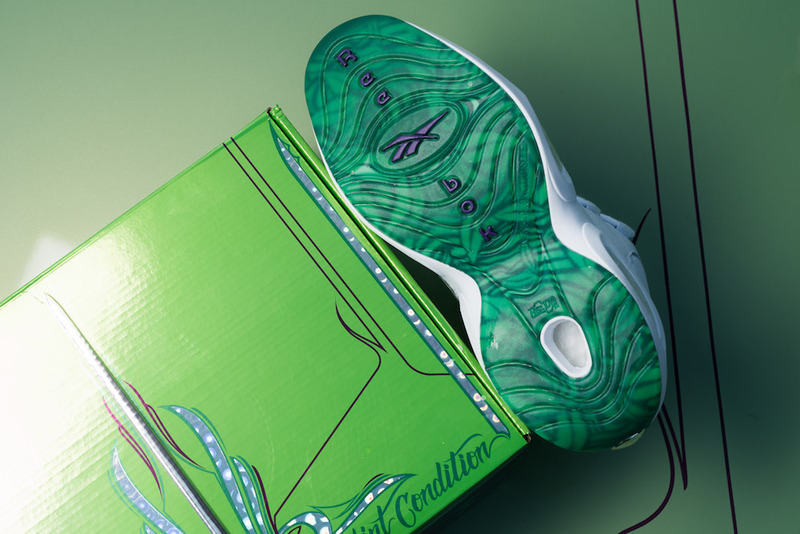 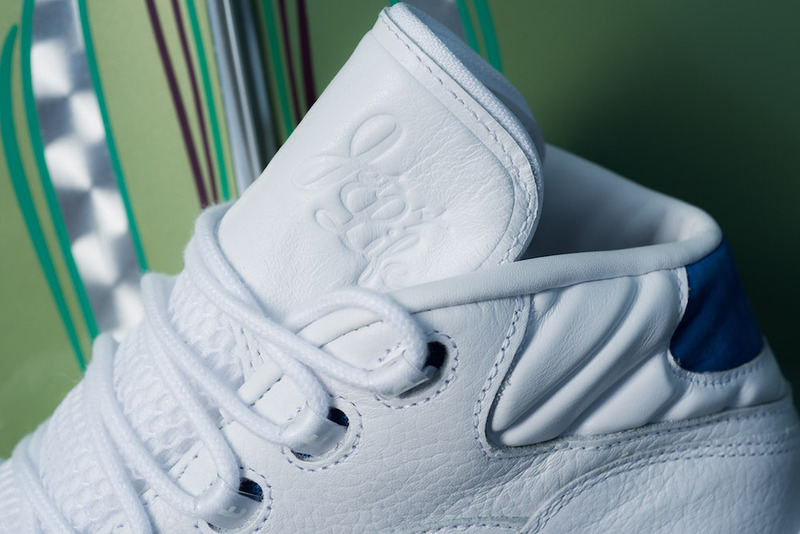 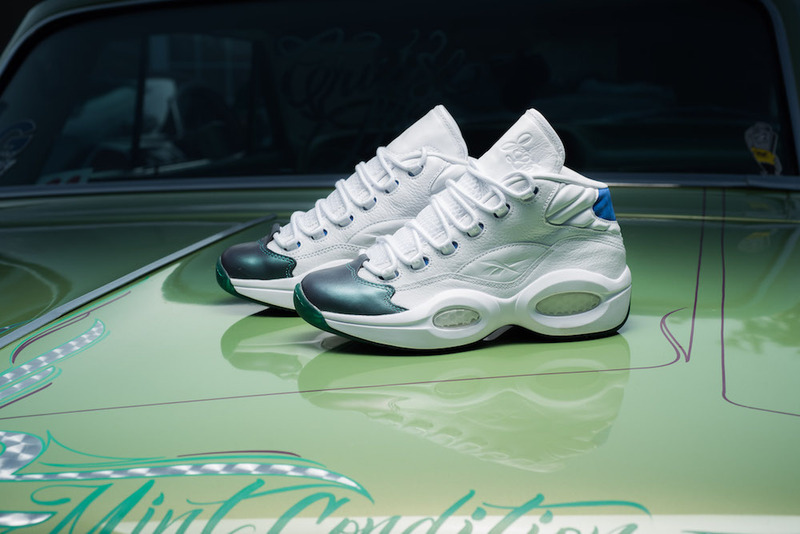 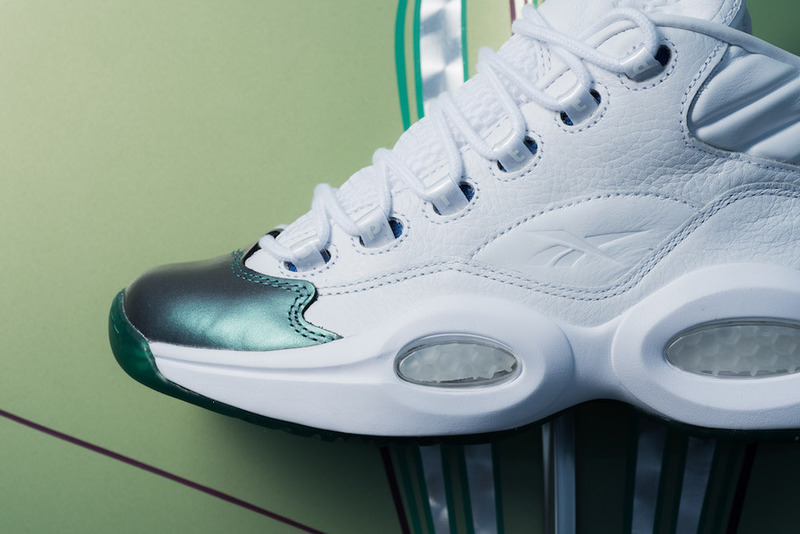 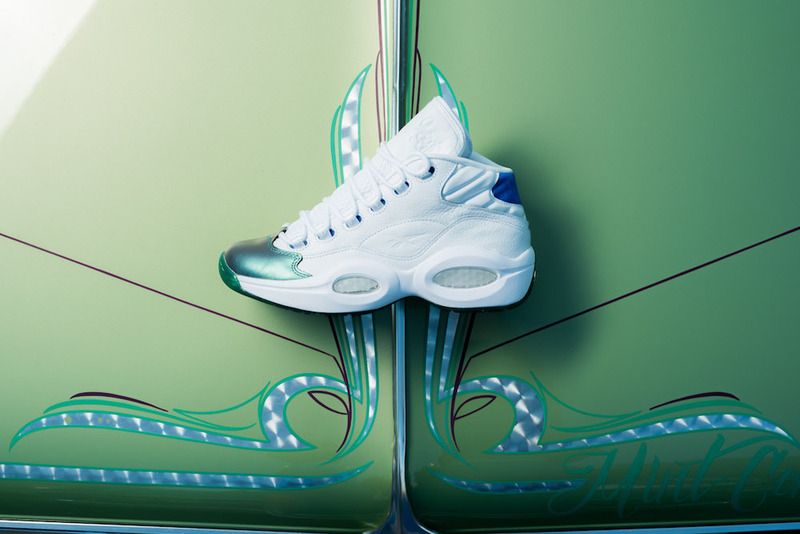 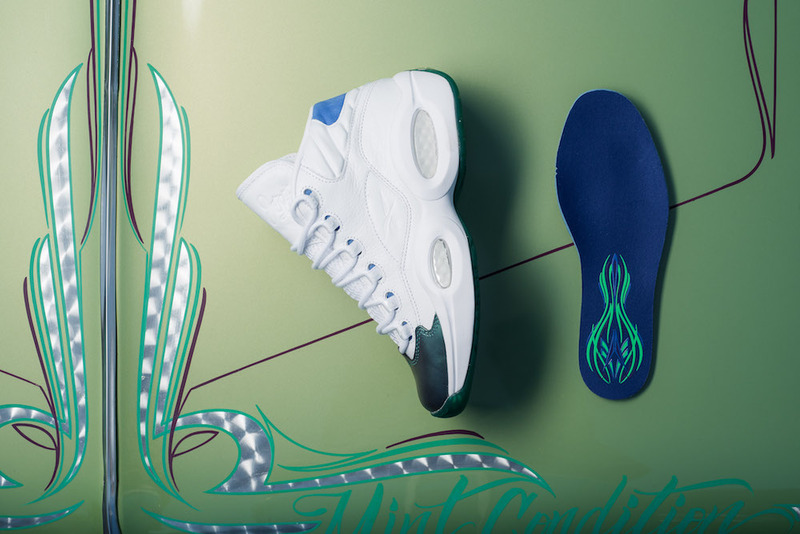 After getting a preview from Curren$y himself not too long ago, the New Orleans rapper’s collaboration with Reebok is finally here, and we’ve got your best look at the silhouette. 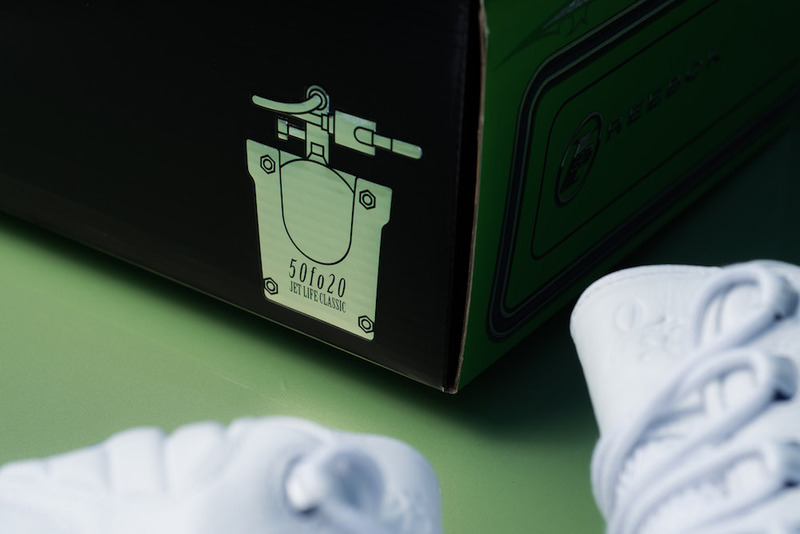 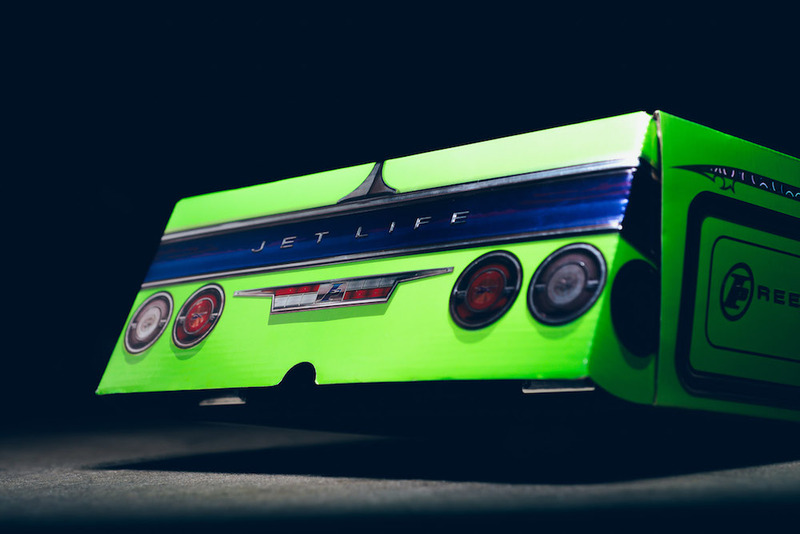 Spitta’s affinity for fly cars plays a huge part in the shoe’s overall inspiration, even down to the innovative heel jewel made out of moulded chrome. 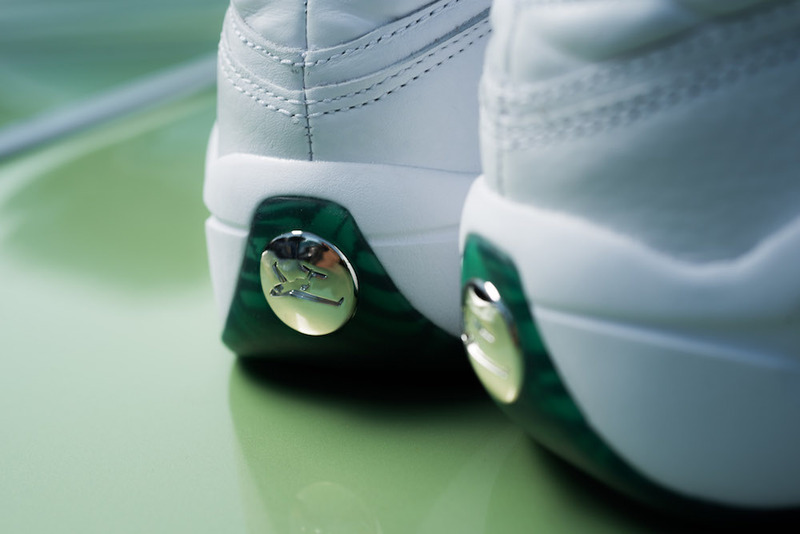 The iridescent toe box is also a key feature that adds a pop of color to a predominantly white base. 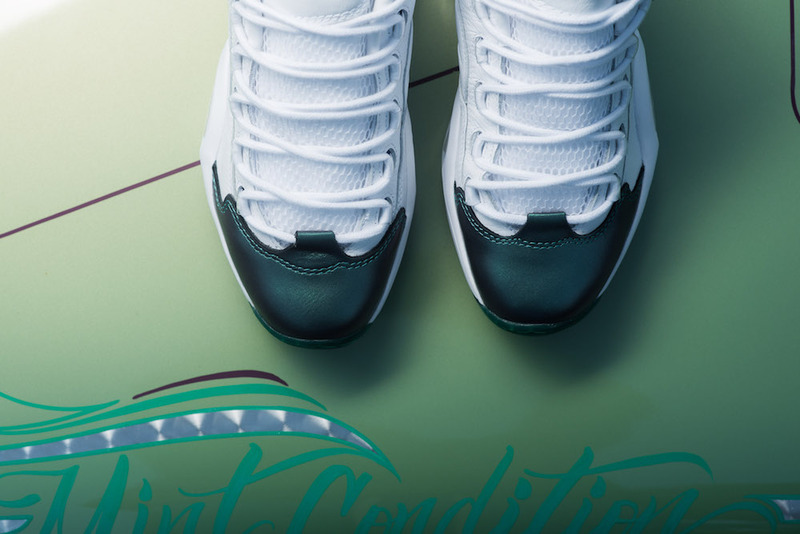 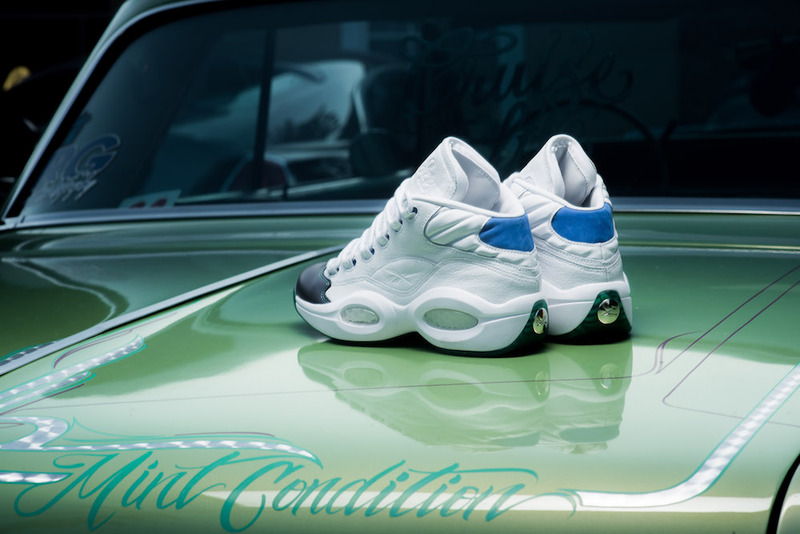 The look is inspired by those colorful Pilot Talk album covers we’ve grown to love over the years, and the candy green, chromed-out shoe box (which actually opens like the trunk on his whip) is the perfect topping to an overall perfect shoe collab.